Cards, Comics, & Collectibles has been the Premiere Comic Book Store serving the Baltimore area since opening its doors on May 1st 1984. Founded by Marc Nathan, this little corner store has grown to six times its original size. Located in historic Reisterstown, you can find comics from the 1940’s to present, a large selection of Graphic Novels, sports cards, collectible card games, toys, and more! You can expect more talented artists to appear every year during the Cards, Comics, & Collectibles Free Comic Book Day event during which family friendly artists mingle with kids in a fun & festive environment that serves to showcase the comic book medium. In 2000, Marc Nathan, owner of Cards, Comics & Collectibles, created The Baltimore Comic-Con! Starting as a one day show in the ballroom of a hotel in Towson, the convention has grown into a three-day event housed in 4 halls of the Baltimore Convention Center. SHIPPING Now! 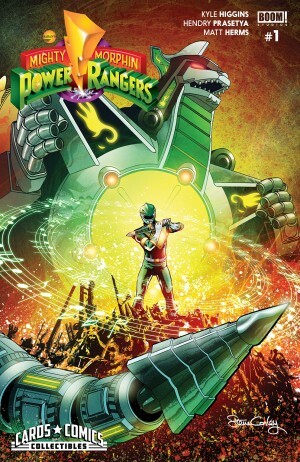 Our EXCLUSIVE Mighty Morphin Power Rangers #1 cover by Steve Conley. Shipping now! 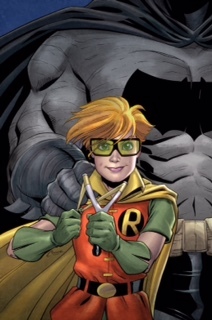 our EXCLUSIVE Dark Knight III: The Master Race #1 cover by Amanda Conner. Also available: A very limited black-and-white version of the cover.